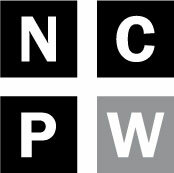 The head of North Carolina’s controversial charter takeover program says there’s no guarantee he’ll tap either of the two groups seeking a state contract to overhaul a struggling Robeson County elementary. “If we don’t have the right match, I’m not just going to recommend anyone,” said Eric Hall, superintendent of the state’s Innovative School District. Hall’s comments come days after members of the state’s top public school board, which will have the final say over the ISD contract, bemoaned that just two organizations—one a new nonprofit from Charlotte and the other a for-profit outfit out of Michigan—submitted completed applications for the program’s first year in 2018-2019. It also comes a day after local school board members in Robeson voted unanimously to transfer Southside-Ashpole Elementary into the program. As Policy Watch has reported, local leaders had been noncommittal on the fledgling takeover district since state officials chose Southside-Ashpole in November from a list of more than 48 eligible schools, chosen because of poor test scores. Hall’s office is slated to make a recommendation on the state contract in February. State law requires a decision from the state board by Feb. 15, but Hall said he would ask for a waiver or extension on that deadline if his review of the applicants finds both lacking. “It is about getting this right,” Hall added. The state program, which would turn over operations and hiring in the Robeson elementary to an outside organization, is contracting with a third-party consultant, Massachusetts-based School Works, to interview and assess the applicants. One, Achievement for All Children (AAC), launched last year under the leadership of several influential school choice boosters in the state, including a former state lawmaker, Rob Bryan, who spearheaded the push to create the takeover program two years ago. AAC’s chief executive officer is Tony Helton, a charter leader who sat on the state’s Charter School Advisory Board until October, shortly after some questioned the ethics of AAC’s move to take over a troubled Charlotte-area charter in 2017. Helton is also CEO for TeamCFA, a national charter network that runs 13 schools in North Carolina. While AAC’s application makes note of the new group’s lack of history in turnaround schools, the nonprofit touts its partnership with TeamCFA. According to the school’s 2016-2017 state report card, Capitol Encore Academy earned an overall performance grade of “D” but just met student growth expectations. In its application, The Romine Group said state officials should expect one transition year, with marginal improvements in student performance in the subsequent years. Hall emphasized this week that, while both applicants are charter management organizations or education management organizations, state law allows for other groups to contract with the ISD as well. That could include a private corporation or a university partnering with a proven turnaround school principal, he said. “We have a real opportunity here to start to define what it means to be an Innovative School District operator,” Hall added. Peggy Wilkins-Chavis, chair of the Robeson County Board of Education, said local board members hope to have a say in the contract, although she acknowledged the choice will be left to Hall and the state board. Regardless of who’s chosen, supporters and skeptics of the takeover district will be watching performance in the Robeson school closely over the next five years. Southside-Ashpole is expected to be the first of several low-performing elementary schools selected for the novel state district. Similar charter takeover programs in states such as Tennessee, Michigan and Louisiana had middling results and prompted sharp outcries from some parents, but Wilkins-Chavis said her low-income district needs a fresh approach. State reports show the school earned an overall grade of “F” and did not meet growth goals in 2016-2017. Local leaders like Wilkins-Chavis initially indicated they might close the school before voting to turn it over into state hands, but the school board chair said the complications expected from reassigning hundreds of students and staff across the district weighed into their decision this week. Meanwhile, Wilkins-Chavis said she hopes the takeover organization will retain most of the school’s current teachers, counselors and administrators. She said the school’s staff isn’t to blame for its lingering academic troubles. Wilkins-Chavis’ criticism echoes concerns from many public school advocates in the state, who’ve blasted state legislators for years over purportedly inadequate funding for classroom materials like textbooks. Hall said Wednesday that state law guarantees at least an interview for every member of the school’s current staff, although the state district and the school’s operator will make hiring decisions, not the local school board. 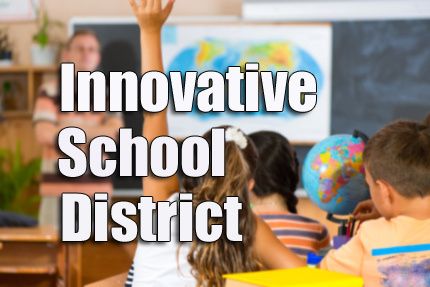 State law allows the inclusion of up to five schools in the Innovative School District, although Hall chose a “slow” rollout in 2018-2019 with just one school. Hall expects to pick multiple schools after a new set of academic performance data arrive in late 2018.